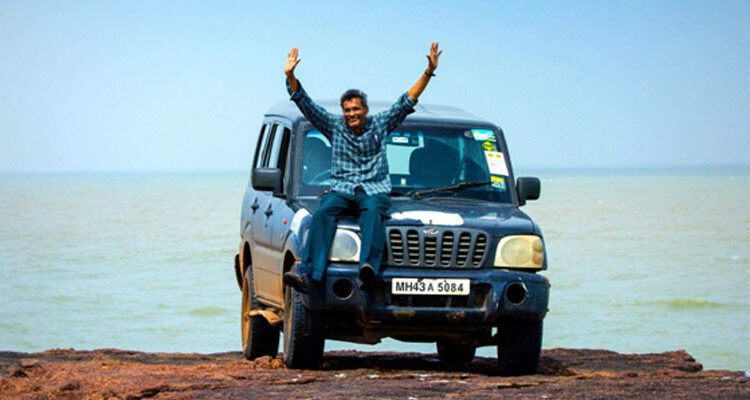 Meet HV Kumar aka the “Human GPS” of India pioneering the largest and the most respected online network of car enthusiasts and bikers HiVay King Club. 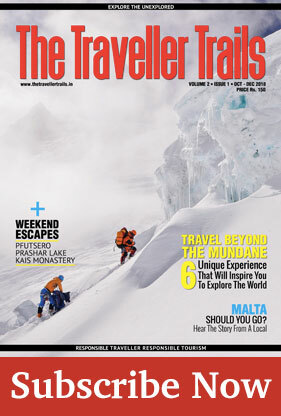 Through this online platform, HV Kumar has been guiding and inspiring travellers en route their destinations. He has travelled the length and breadth of this country. He is an encyclopedia of knowledge, a vociferous reader and above all, he remembers the remotest of roads on his fingertips. Let’s hear from the legend himself -that will inspire travellers to travel. I have a great Car. Or Bike. I like to drive it. The speeds on the expressways are exhilarating. The winding hill roads are exciting. Very comfortable. When I complete the trip in my own car or bike, it is an achievement – I did it myself. It is my car. The wind rushing under my hair makes me feel like Alexander riding Bucephalus. Every mile is conquered. Every town is ticked off. Every litre filled marks progress. They have some great roads, I have to drive it. I set my targets, I pedal the gas to reach my goals. I am my own master, I am in my own enclave in any strange land. My best Selfie – with my car, of course! I hate tour operators. I like to read up on destinations. I make my itinerary the way I like it. I don’t like stereotyped trips – I research, ask around, ferret out new things to do. I like to go to places they never heard before. Eat in the dhabas. Bathe in the village ponds. Sleep with the seat pushed back. The script is mine, I am the hero, and the zeroes in the odometer are whirring. Will I get my lunch? Will there be a room at the end of the day? Will my car take the battering? What will I do if my car breaks down? I can say with pride – I did it myself. The path less trodden is mine! I set my timetable. I drive off when I feel like it – no waiting for planes, buses or trains. I turn off into that squiggly road which no one talked about. I drive faster – do I reach my destination quicker – or I make more time for more destinations? I visit people who I lost touch with long ago. No one looking over my shoulder to remind me that it is time to go. I stay in hotels which are too far off the regular trail to be of any use to anyone else. I like a place, I stay back. I discover a new place, I explore it. I find something that exclusively fits me. I don’t care for Meal Plans, I make my own food – or savour the best of the local cuisine. I never run out of time. My own pace, My own place! Planes, Trains, Buses & Taxis – Why? The scheduling. The booking. The pricing. The captivity to another’s capabilities. I have a free schedule. My destinations keep changing. I even save money. I am not disappointed not getting tickets. I have just 1 mode of travel – my own car or bike. I am not worried about getting stranded in the middle of nowhere. I mould my trip my own way. No more arguments with taxi drivers on what they think you should see or experience. I tolerate my own company and of those who I wish to tolerate, not cringe when a snoring stranger’s head rolls down into my shoulder. I load my car uncaring for baggage “allowances” and my wife shops till I drop dead! On the road in my own car, Today could be Tomorrow, the travel is seamless and I will never miss a timeline other than my own. Leave me to be on my own! Husband. Wife. Son. Daughter. In 1 car. For Days. Think it over. Friends. Friends. Friends. In 1 car. Or 3 Bikes. Think it over. Where else does a family – or friends – get together for several days at a time but on a road trip? Captive Audience – or bonding? Shared thoughts, Shared experiences. The fun of doing things together – navigating the roads, searching for a wash room on the highway, checking out the bathroom in the hotel room, arguing with the corrupt cop in a State 7 States away from your own? More time to talk, lots of time to understand each other, there are lots of learnings to share – and a common experience to recollect with nostalgia in the years to come. Yes, we are Family. We find ourselves. We enrich relationships! They said Driving on your own is dangerous. That it is difficult. Why don’t you go to the tour operator and buy his package? Why not simply book online your air tickets and fly out to a destination with a taxi waiting for you when you disembark? Risk your life exploring places on your own? Why do you want to be different? The hackneyed trail is weather beaten, the path less trodden has the overhang of freshness and I am wonderstruck by the unknown. Doesn’t doing something others won’t dare to do giving you that extra kick? Will they gape when you tell them how you managed everything on your own, they applaud you for your self-confidence, smartness and luck? Should I worry at all? I do it because I can. Yes, you can also do it my way! Make it also your way too! Wonderfully articulated. 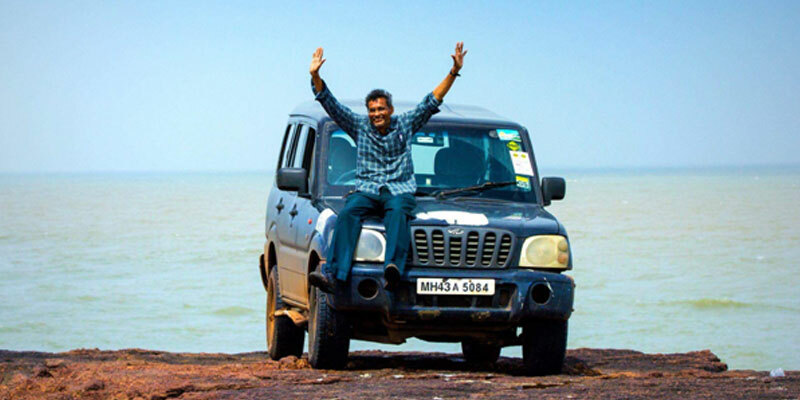 Thanks for inspiring us to travel India the way you have been.